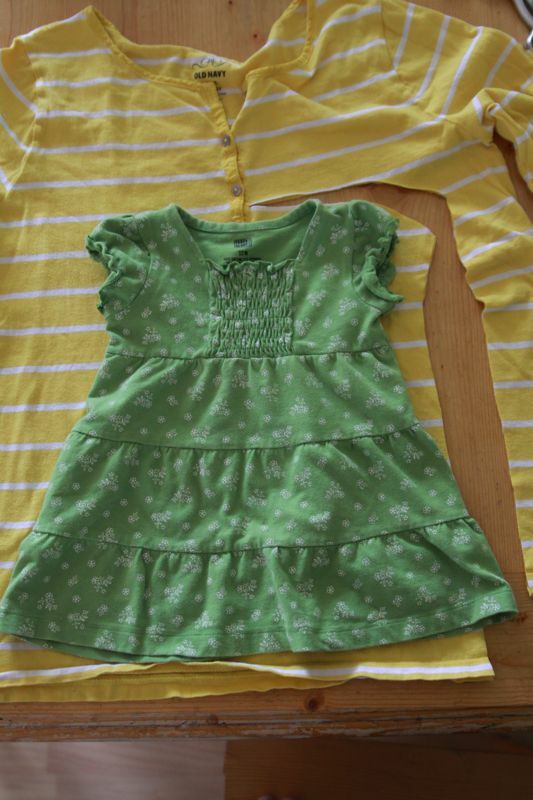 First, lay that shirt down on the table, smoothing it out so the bottom of the front and back match up. Then grab a dress that currently fits your intended recipient and lay it over the shirt. We just want to use this dress to get an idea of the correct size to cut our new dress, but knit is very forgiving so this doesn’t need to be perfect. In fact, the dress I used for sizing had a little different shape than I wanted – it flared out at the bottom where I wanted a fairly straight silhouette, so you’ll see that I just used it as a basic guide instead of cutting around it exactly. I cut a straight line up the side of the dress, then flared out slightly as I got to the sleeve portion of my green dress, then rounded above the shoulder and cut a small dip out at the neck (keep the neck dip small for now – you can make it bigger later). Note: if you have buttons down the front of your shirt you’ll want to cut at least half an inch above a button. I cut this neck a little closer to the button than I should have. 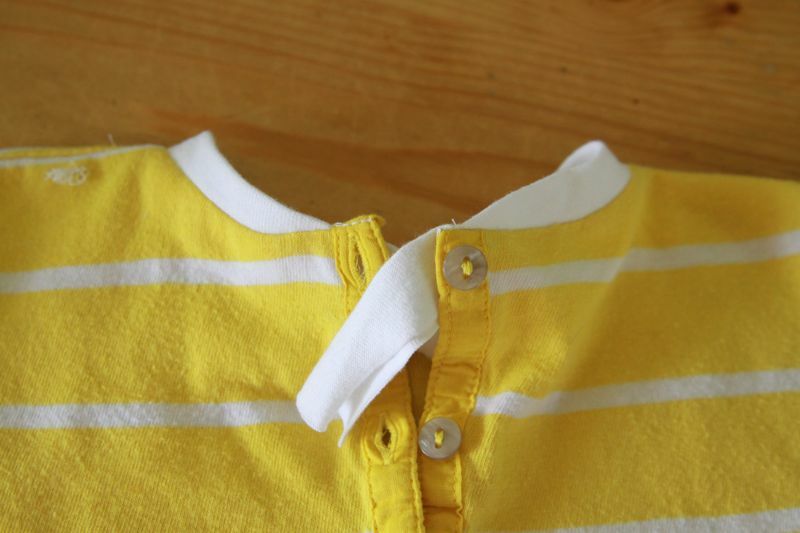 Another note: If the shirt you are using does not have buttons, you’ll probably want to put some sort of button closure on your back piece, something that will look like the picture below. 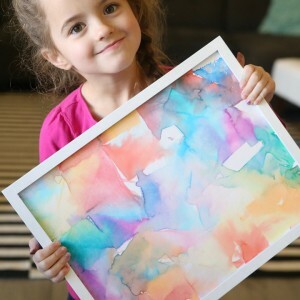 If you need help doing this, check out Jess’s fantastic tutorial here at Craftiness is Not Optional. Do that first, before proceeding to the next step here. We have the dress piece cut out, but we will also need some strips of stretchy fabric to use as ribbing around the arm holes and neck hole. Most likely you will have enough fabric left over from your shirt to cut strips out of the same material so it will match exactly. 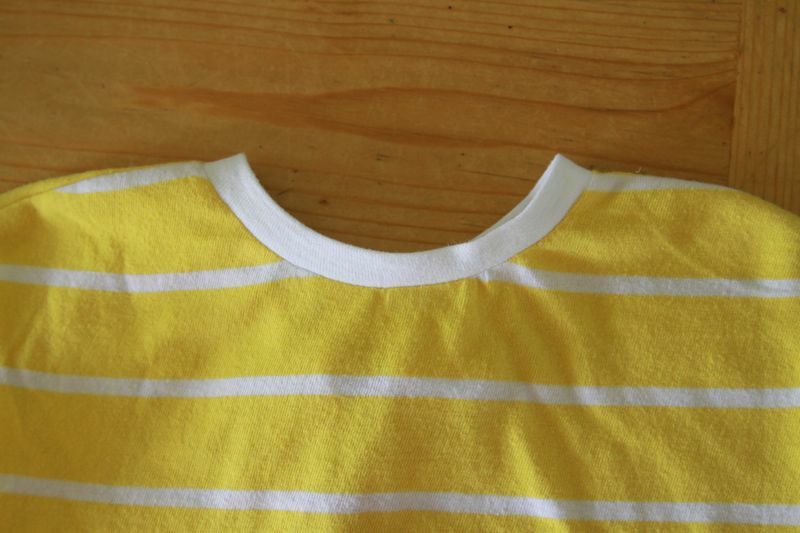 However, I wanted white ribbing, so I cut my strips from some leftover white t-shirt material. 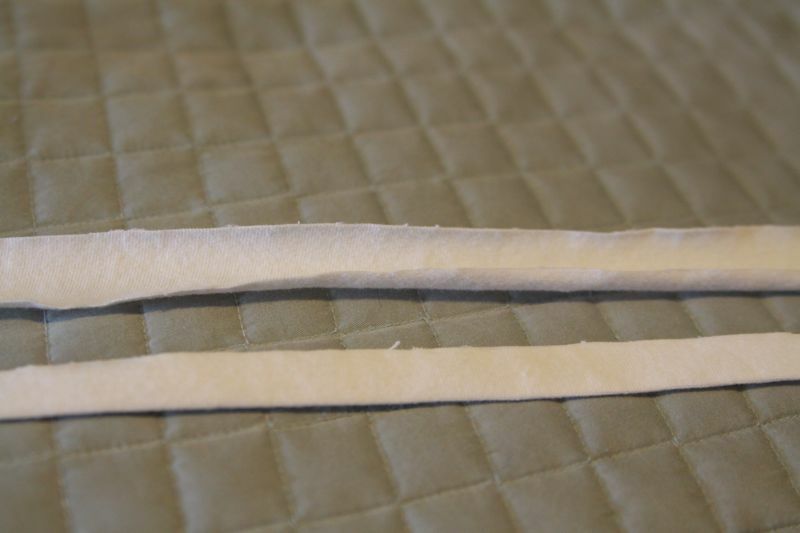 When you cut strips, make sure you are cutting with the stretch (so you can hold both ends and stretch your strip). You’ll want one strip for the next that’s about 1 1/2 inches wide, and two strips for the armholes that are each 1 inch wide. Twelve inches long was plenty for my dress, but if you have more fabric, you might as well cut the neckhole strip even longer, just to be sure. 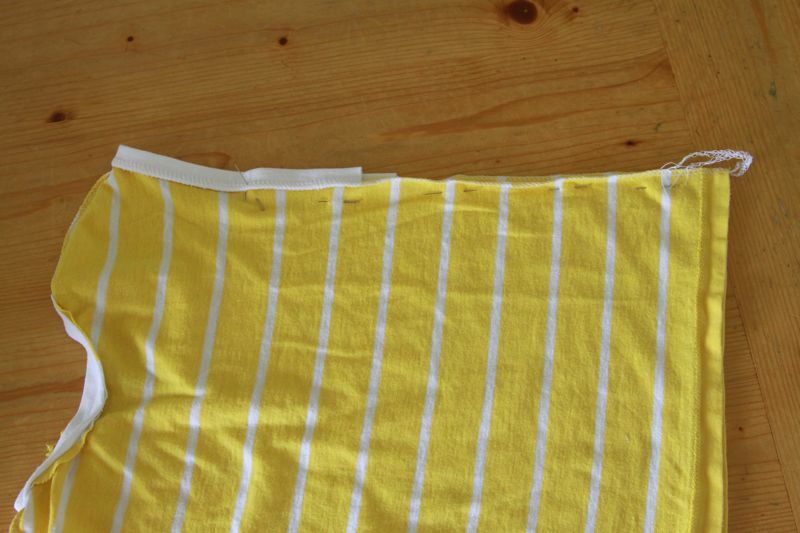 Depending on your fabric your strips may start curling into themselves, like mine did (below). Don’t worry about it – we need to fold them in half longways and press, and once you do they’ll lay nice and flat. 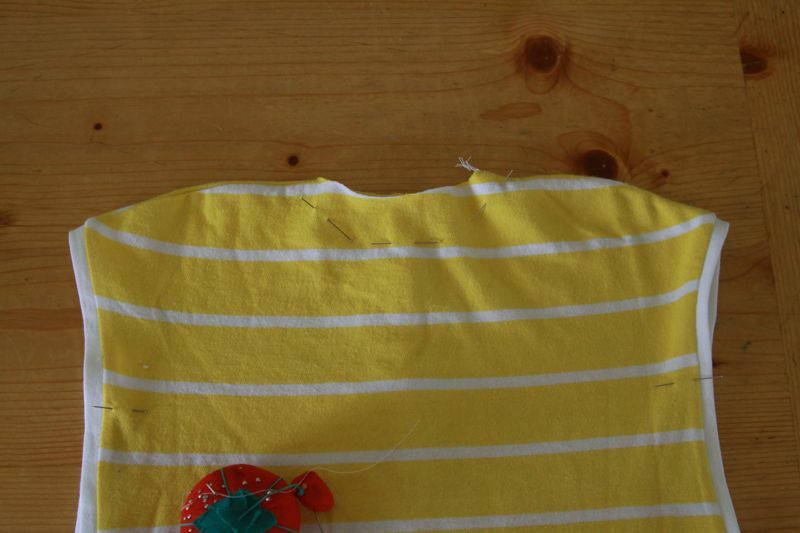 Next, place your two dress pieces right sides together and sew up both shoulder seams (shown pinned below). Press the seams open. 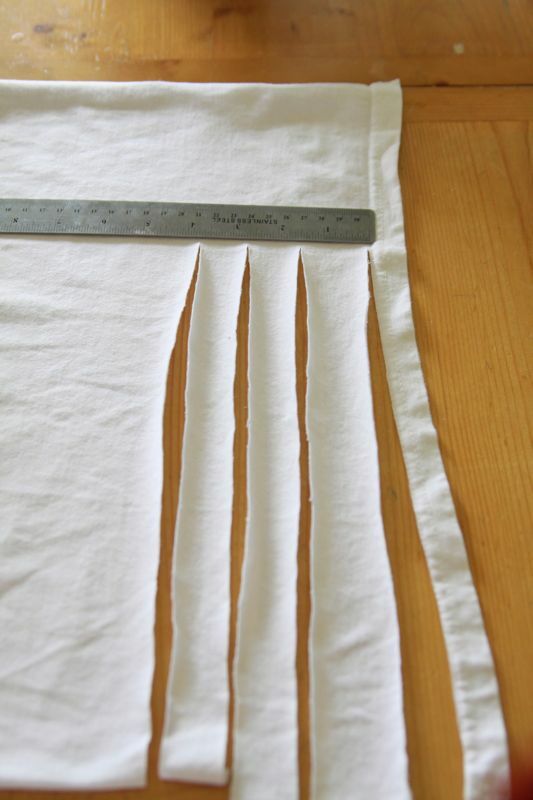 We’ll start by using our strips (I’m going to call it ribbing from now on) to bind the armholes. Now, since we cut this dress fairly straight, you can’t tell at this point where the arm holes stop and the side seams will begin. Don’t worry about it. 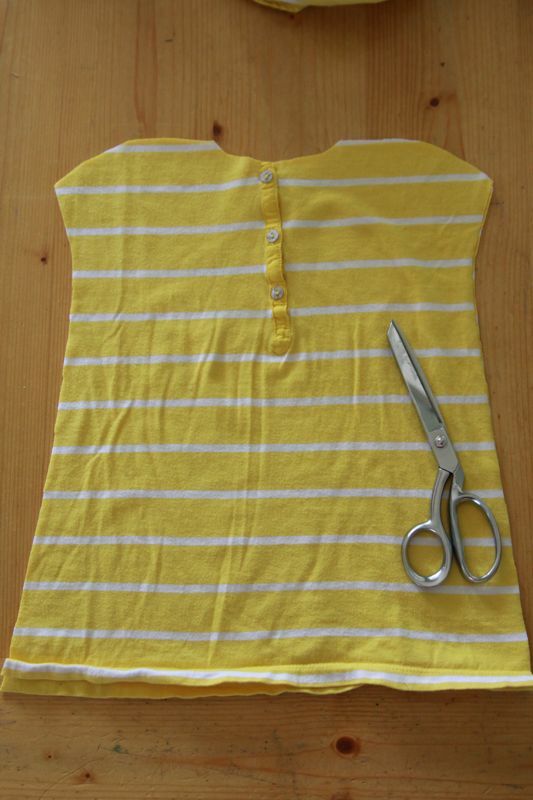 Just start by laying your dress out flat (opened up at the shoulder seams with the right side up) and pin the middle of one of your narrow pieces of ribbing to to the dress at the shoulder seam. 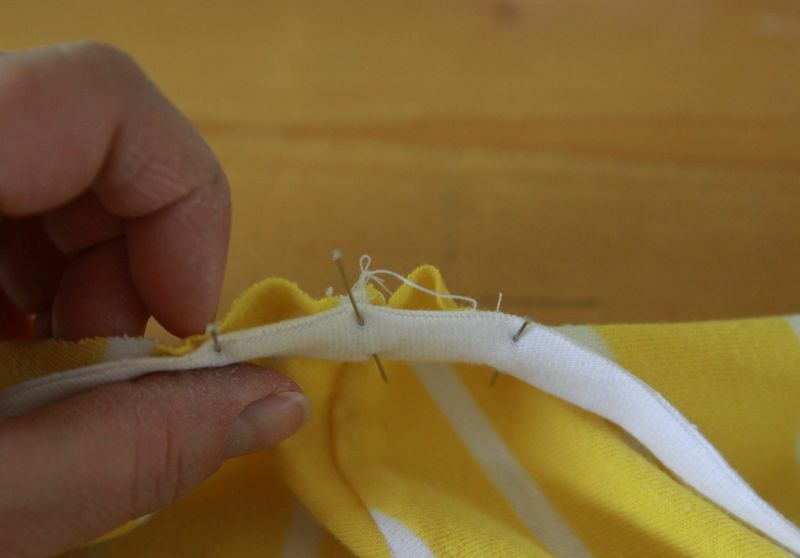 Now, we want to grab about half an inch of ribbing to the right of your pin and stretch it out to about a full inch length before pinning it down to the dress. Do the same to the left of your pin. When you let go of the ribbing you’ll see that the dress bunches up a bit. 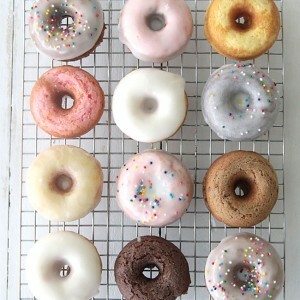 It should look like the picture below. This will give the top of the armhole a tiny gather and make the dress look more like it has sleeves. 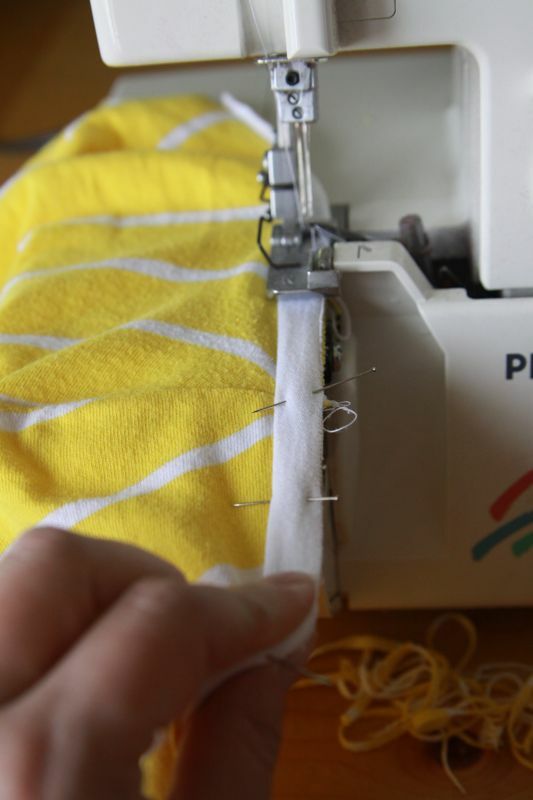 Continue pinning the ribbing down on each side of your middle pin, not stretching it after that first inch. Sew it on using a 1/4 inch seam allowance. 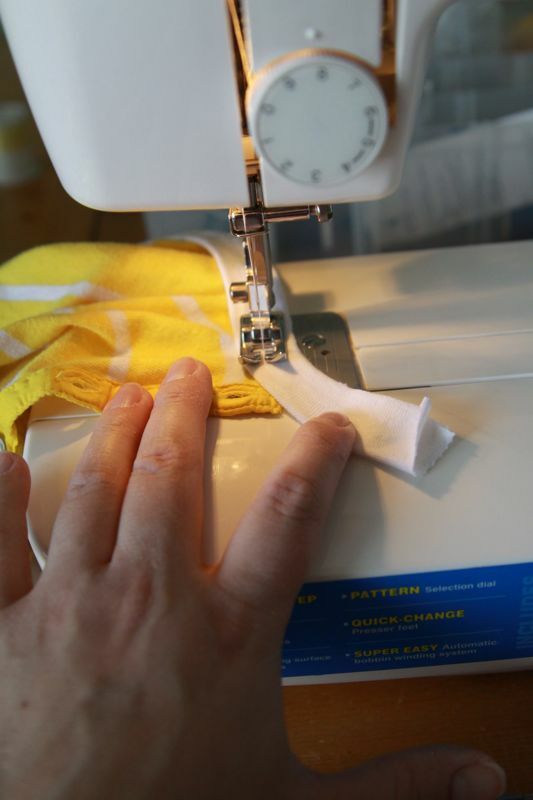 This picture shows my serger – in order to get that small of a seam allowance I have the fabric lined up with the blade and just the tiniest bit is getting cut off. 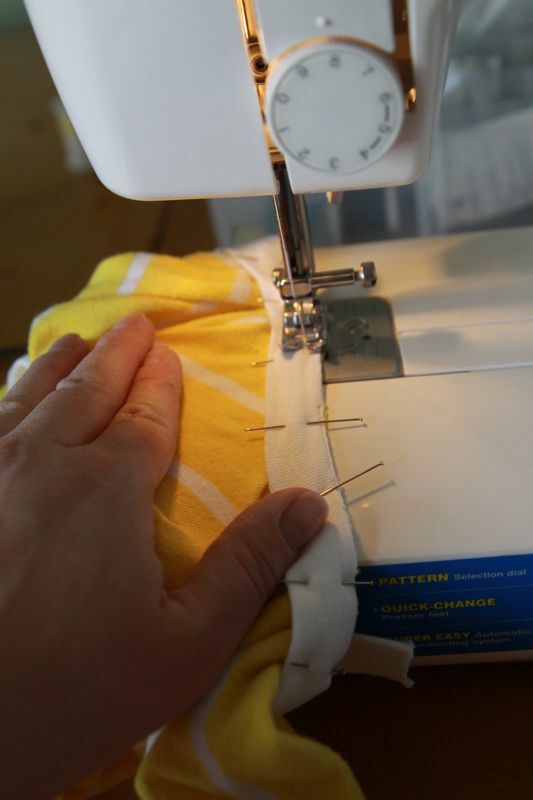 If you are using a sewing machine instead of a serger (just fine!) line up the edge of your fabric with the edge of your presser foot to keep a 1/4 inch seam allowance. 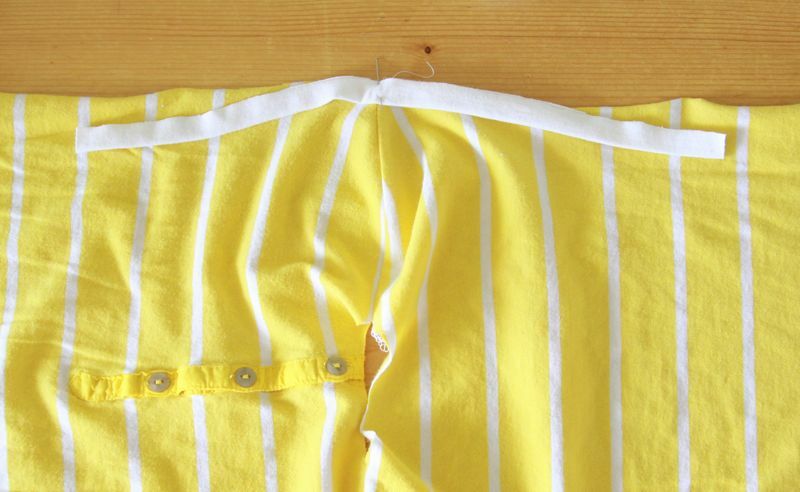 Sew that ribbing on. 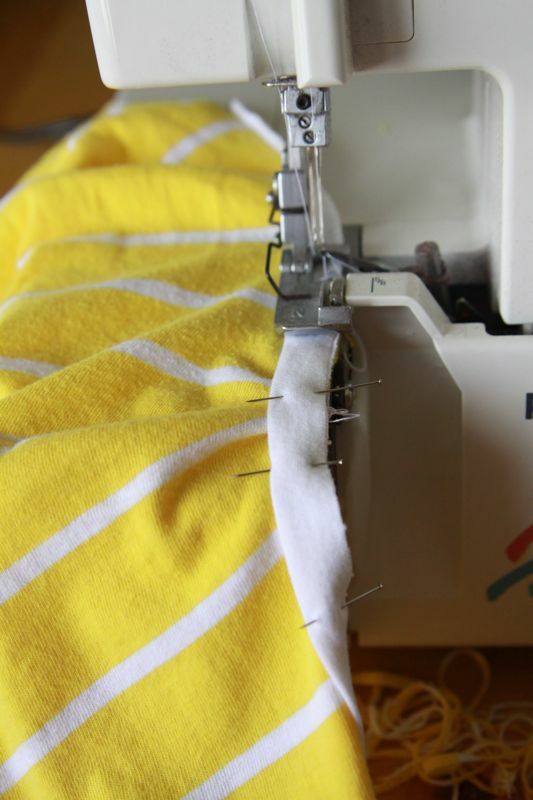 When you get near the shoulder seam, where we stretched the ribbing before pinning, your fabric will be all bunched up, like the picture below. 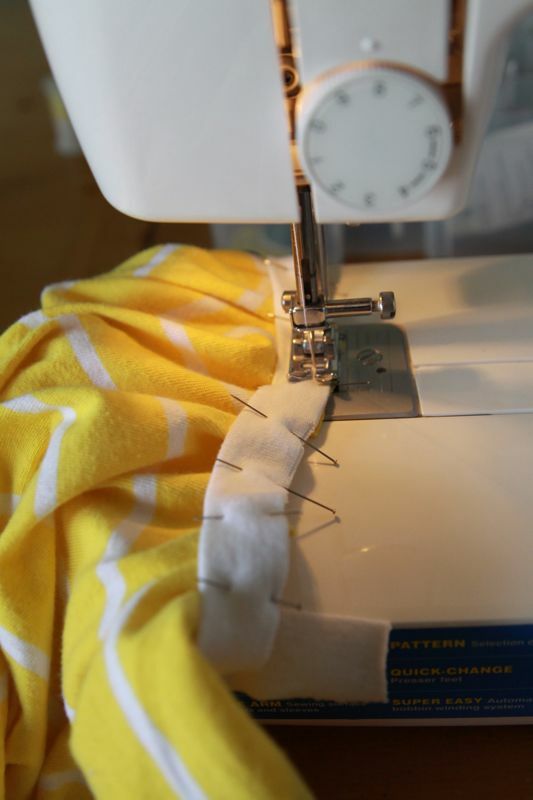 Pull on your fabric as you sew in order to smooth out the bunches. Remember, the ribbing will shrink back up after we sew this seam, helping to give a tiny gather to the top of the sleeve area. Once you’ve sewn your armhole ribbing on both sides and pressed the seam allowance in toward the dress, your dress will look like this. Now is a good time to try the dress on the intended recipient and mark two things: 1) Where you’d like the side seams to start under the arms (just pin on either the front or back, not through them both), and 2) How much larger you’d like the neck hole to be. 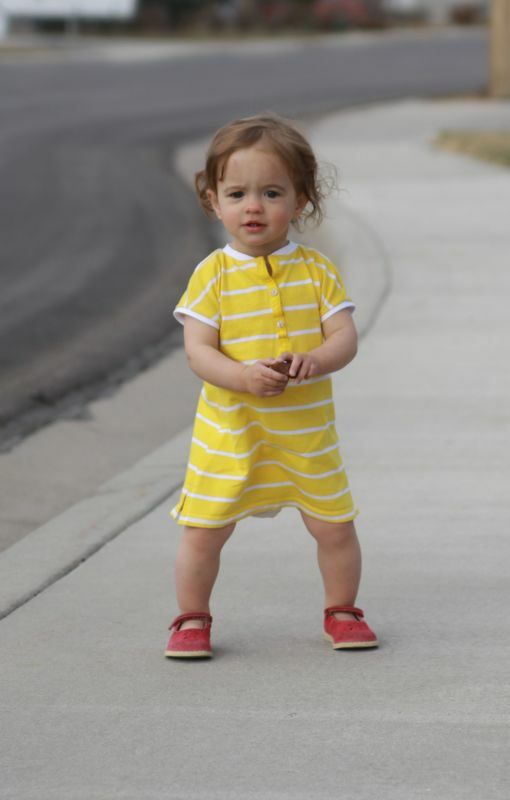 If your baby daughter runs from you laughing maniacally as you are trying to mark these two things, know you are in good company 🙂 Either do your best, or just use that original well-fitting dress as a guide here. Trim away at the neckline if you need to make it bigger. I originally planned to have the buttons go down the back of this dress, so I lowered the neckline on the plain portion of the dress. I changed my mind later it, and it turns out it likes fine either way. 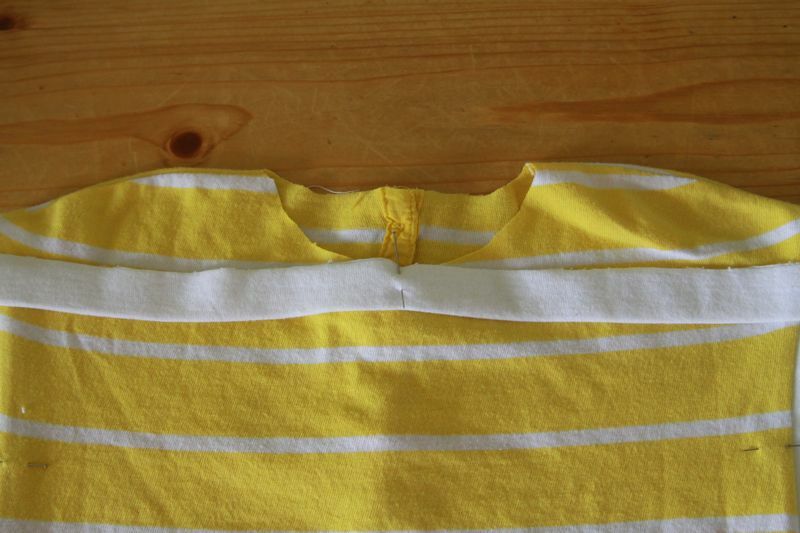 So lower the neckline in the front, or the back, or both, or not at all if you’ve already cut a large enough hole. Totally helpful, right? 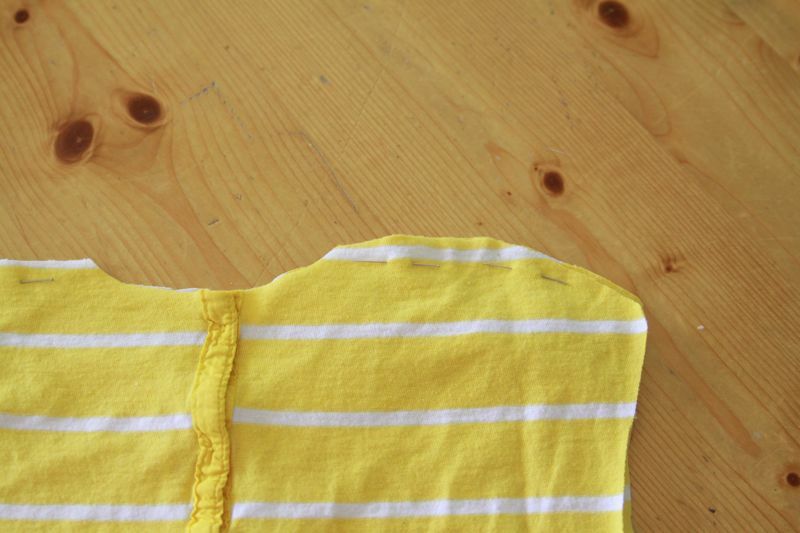 Get your wider piece of ribbing and pin it around the neckline (remember to pin the ribbing to the right side of the dress), starting in the middle of the front. 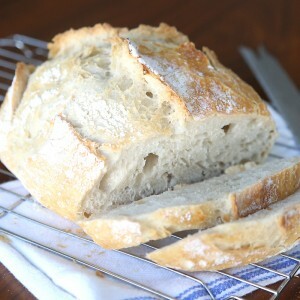 This time you will stretch the ribbing every single time you pin it down. This means the dress piece will be bunched up all the way around the neckline – this will help the ribbing to lay flat once it’s sewn and pressed. 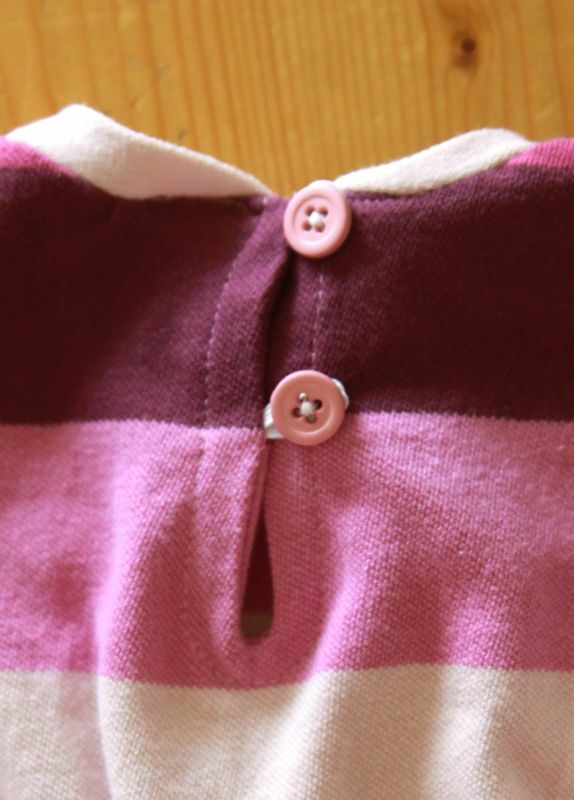 When you get to the buttons, curve your ribbing so the folded edge meets the corner of the dress above the button or buttonhole, as shown below. And here’s a shot of how it should look when it meets up with the buttons or buttonholes. 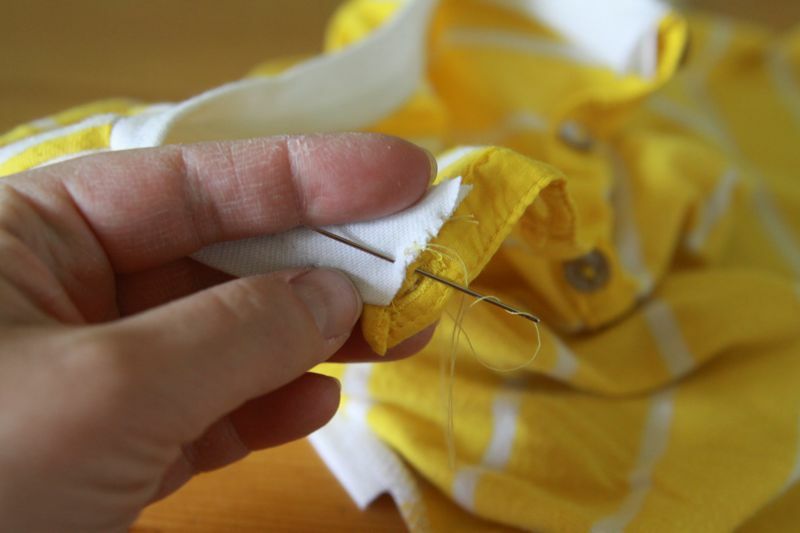 Trim off that excess ribbing (cut straight down), and use a few hand stitches to secure it down to the inside of the button placket. Almost done! Just the side seams now. 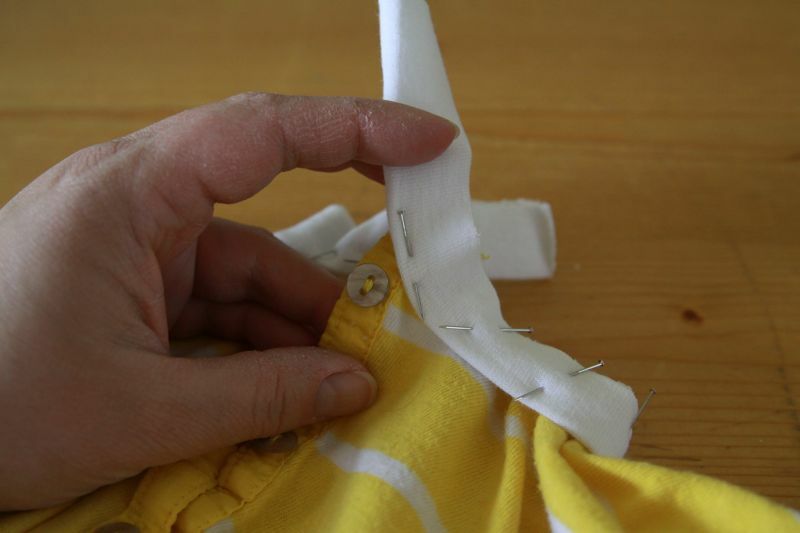 Turn your dress inside out and find the pin that marked where you want your side seam to start below the armholes. Pin in across the armhole ribbing, then down the side. 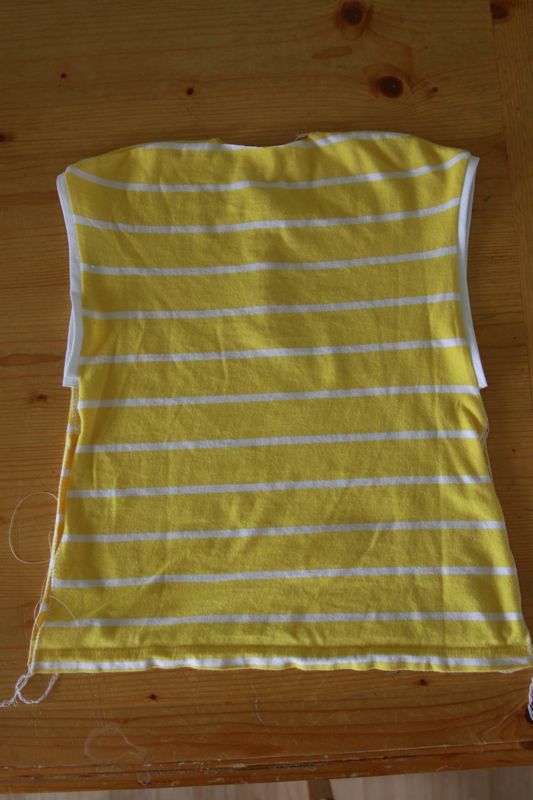 Sew both side seams and cut off any extra ribbing below the armholes. Your dress should look like this. 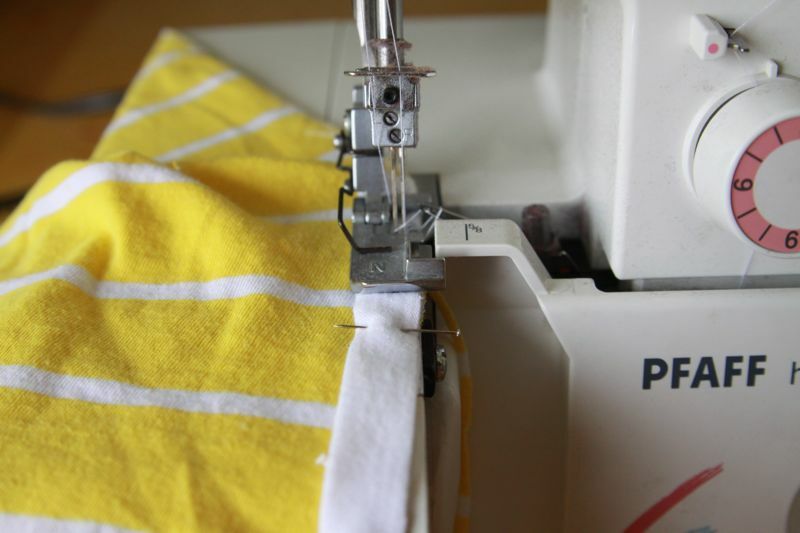 Now you just need to turn it right side out, press open the side seams, clip off any stray threads, and wait for your baby girl to wake up from her nap so she can try it on. 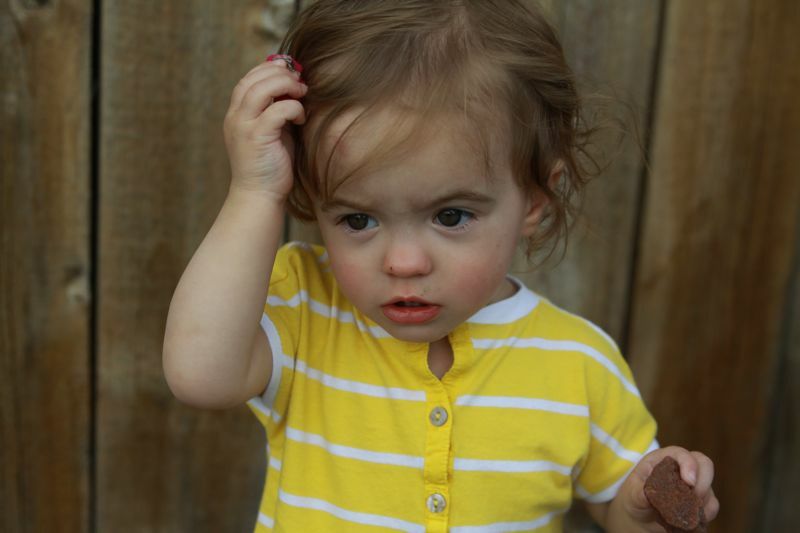 Try to accept the fact that she will never, ever wear the cute hair clips you’ve made for her. 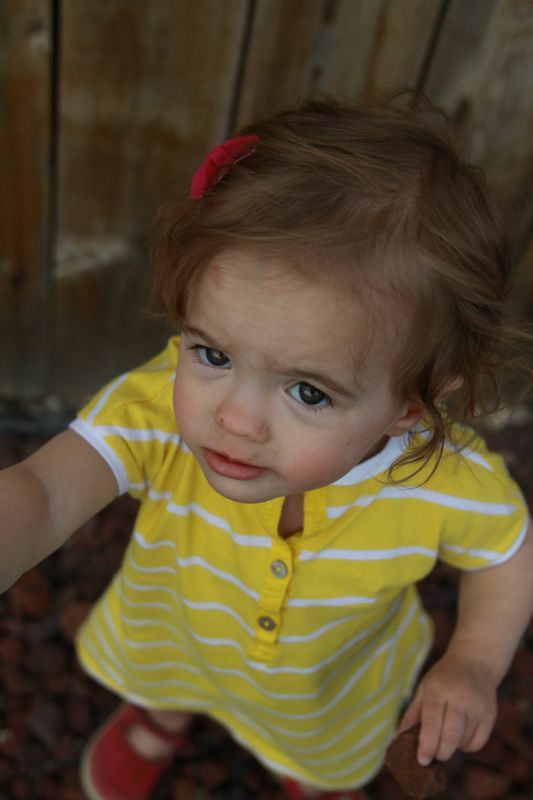 And chase her around with a camera to get a good shot. So cute…and the dress is great as well. What a clever money saver idea! GREAT idea! I love refashions! She looks adorable in it! Hi, Thank you for this detailed tutorial. My top came out perfect but I think I did not cut the “sleeve” part long enough because I ended up with almost sleeve less top. Now none of my tops will be safe from my scissors. I wanted to ask you what you did with the long sleeves on the tee. I searched but I couldn’t find what you did with them. If you can let me know that would be awesome. Hi Sam – I’m glad your dress turned out! 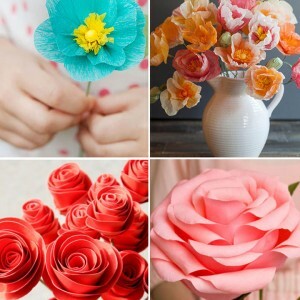 It’s so much fun to cut something up and make something else, isn’t it? 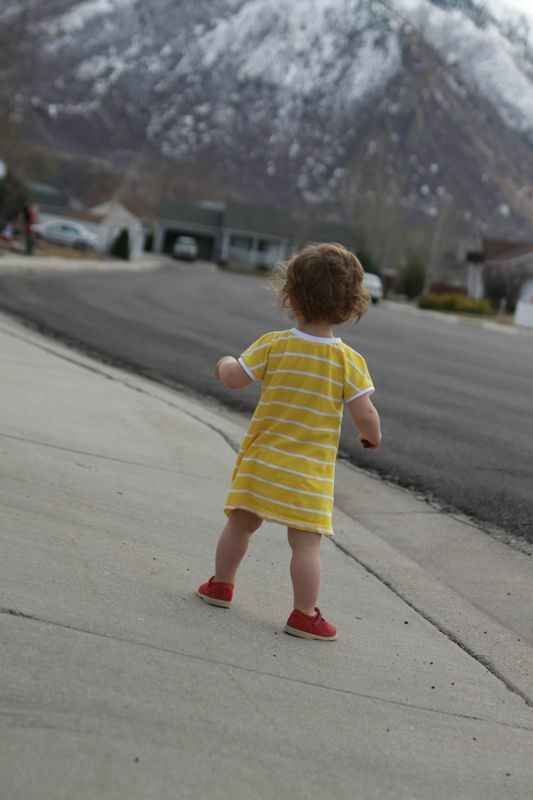 I forgot I never posted what I did with the sleeves – I made little leggings out of them and my daughter actually ended up wearing the matching dress/leggings as pajamas over the summer. It was super cute! Che grande idea!! Bello! Brava! Super awesome up cycled dress! I love this!!! Thanks so much for great detailed instructions! 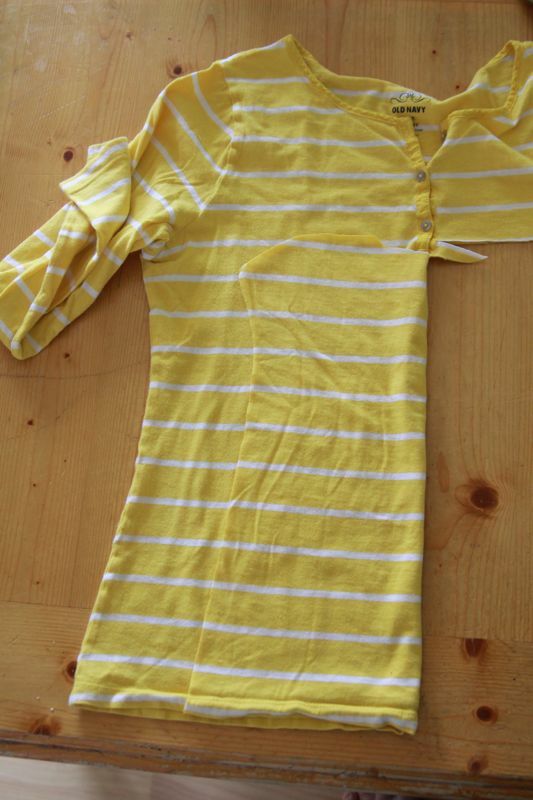 I’ve been wanting to make some upcycled dresses for my daughter, but was stumped with how to finish the neck and arm holes – now I know. Going to be sewing this weekend! 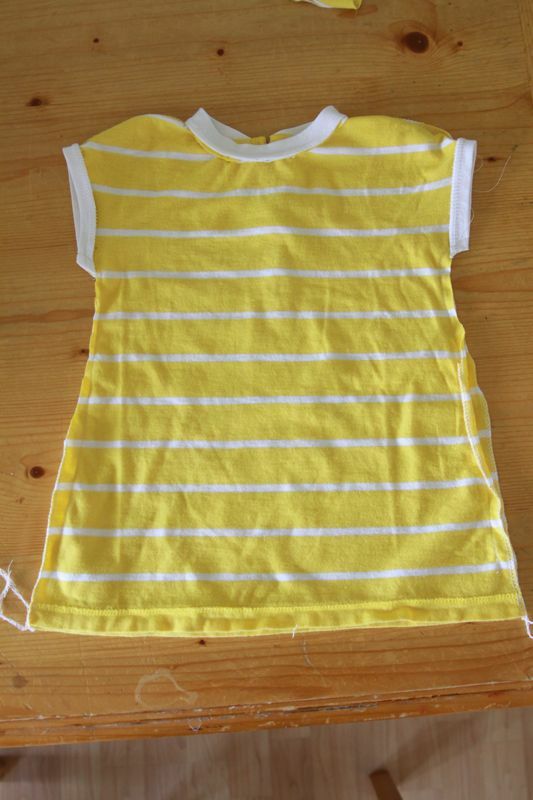 Great idea, but I want to start from the top of a linen blouse with embroidery on the collor. I love this and your daughter is sooo cute. 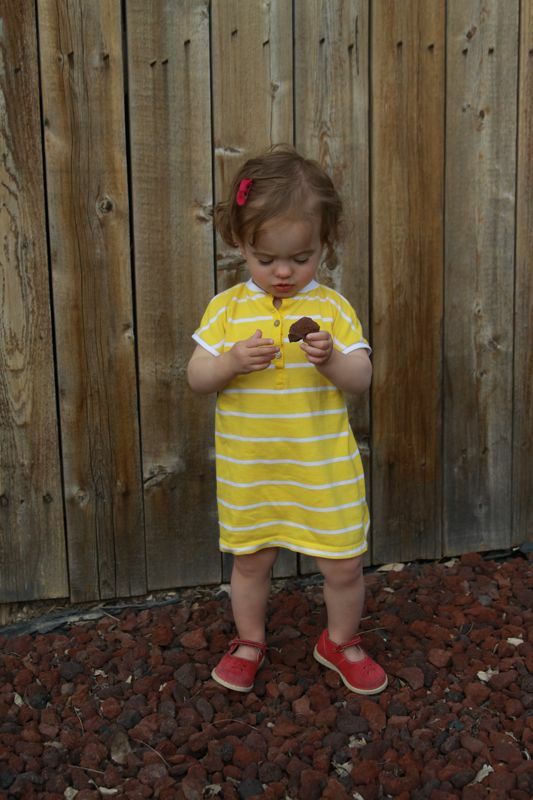 I need to try it for my granddaughter, 21 months old. She loves dresses. Thanks for the details.